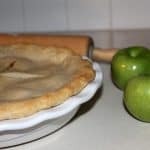 Finding the perfect apple pie recipe got a whole lot simpler! 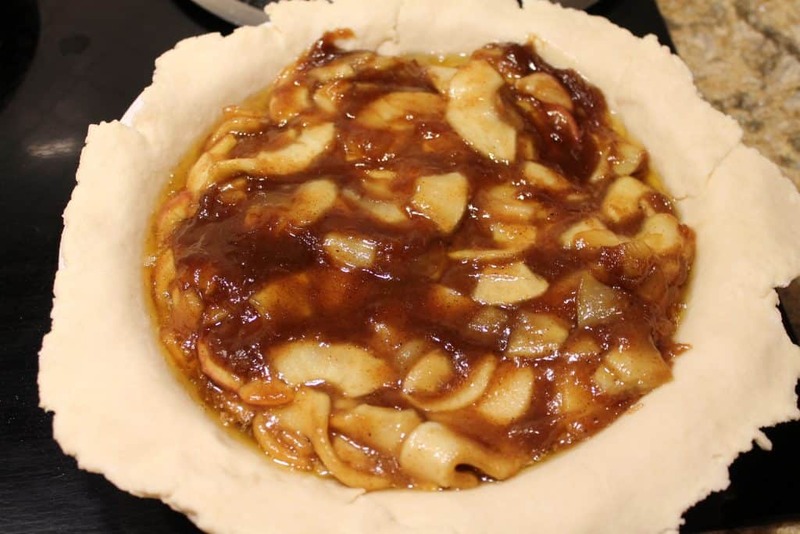 This delicious apple pie filling combined with a flaky pie crust, makes for an apple pie recipe you will be making again and again. 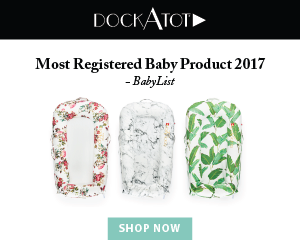 Now, in an effort to fully disclose this article contains affiliate links. If you purchase something after clicking on a link, I would receive a commission. For more information, see my Disclosure page. What Kind of Apples Make the best Apple Pie? Some people will say granny smith apples, and others honey crisp. The truth is, any apple will work, it just changes the tartness/sweetness of the pie. What’s your favorite kind of apples to use? Leave me a comment below! Should you pre-cook apples before baking them in the pie? This is another often asked question in regards to apple pie. If you like apple pie with apples that are softer, pre-cook them! If you like a more crisp apple, don’t! What’s the best way to slice apples for apple pie? What I have learned is that using an apple peeler-corer-slicer yields the best results. 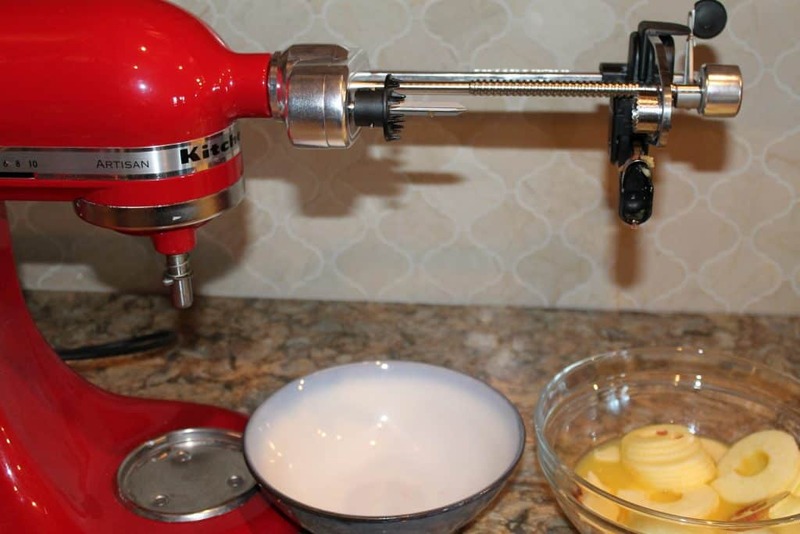 They have manual ones which work great, or you can opt for this attachment on your Kitchenaid mixer to really make quick work! 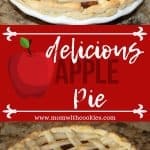 How to make this delicious apple pie recipe? The first thing you will want to do is pre-heat your oven to 350 degrees Fahrenheit. Then, you will want to peel, slice, and core your apples. 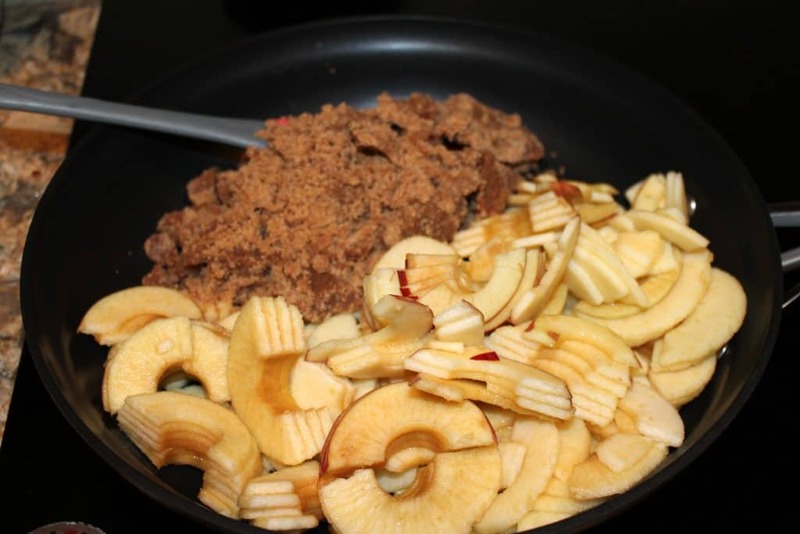 Then, place the apple slices into a bowl with orange juice to kep them from browning. In a medium bowl, combine the brown sugar, flour, cinnamon, and nutmet. Whisk this together and set it aside. Then, place your butter into a large frying pan to brown it. 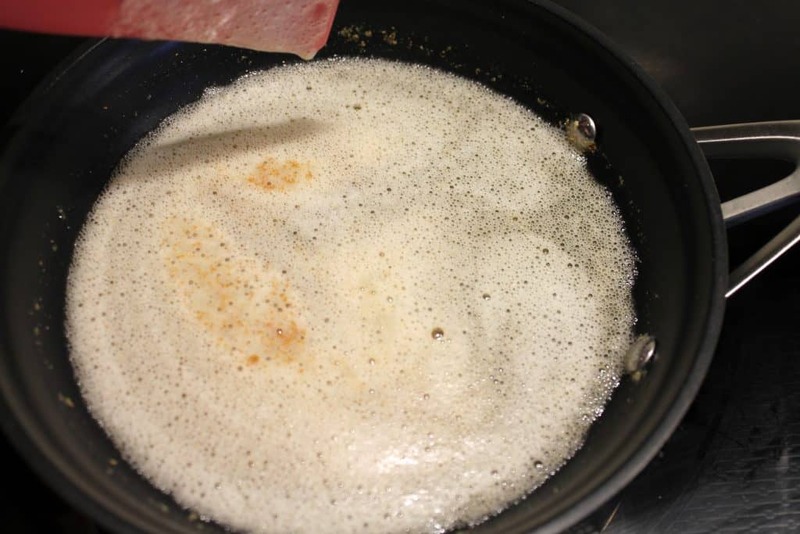 On medium low heat, you will let it melt and cook until it starts to foam up and get brown bits in the bottom of the pan. Then, add in the sugar/flour mixture and the apple slices to the frying pan. Let this cook for 5 minutes so that it helps the apples get softer before you bake them. Then, place it in an unbaked pie crust (I use this flaky pie crust recipe). Then, you can place pie dough on top of the apple pie, or make a lattie top. 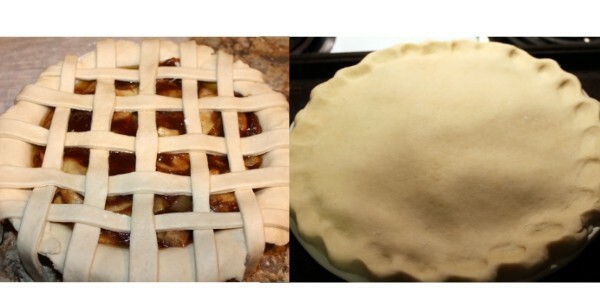 The lattice pie, in my opinion looks so much more elegant! Then, brush egg whites on top of the crust and sprinkle with sugar. You will then bake it for 40 minutes or until the pie starts to look golden brown. 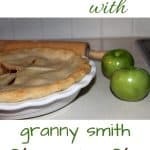 This delicious apple pie recipe can be made with any kind of apples, but is especially tasty with granny smith apples. Then, slice and peel 5 apples. Then, place the apple slices into a bowl with some orange juice to prevent browning. 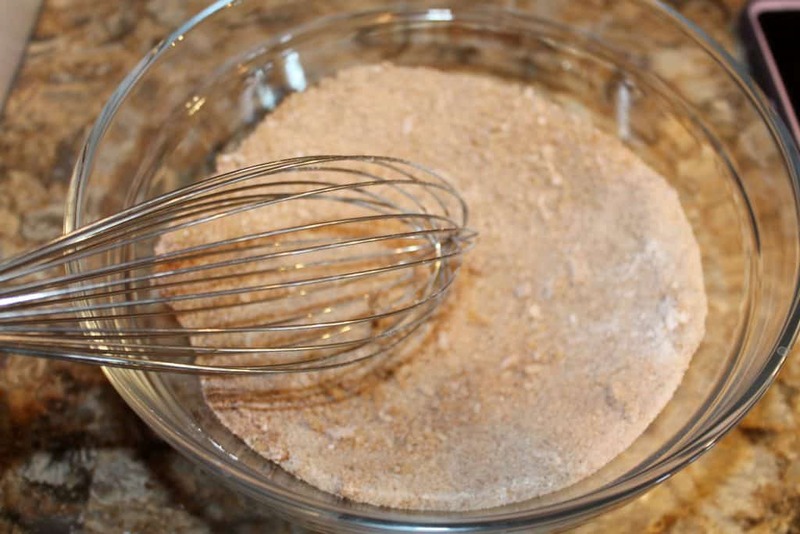 Next, combine brown sugar, nutmeg, cinnamon, and flour into a bowl and whisk. Then, set aside. In a small frying pan, place 1 stick of butter. Let it cook on low until it starts to turn an amber brown color. Then, add in the brown sugar/flour mixture to the frying pan with the browned butter. Also, add in the apple slices. Cook for 5 minutes. Scoop the pre-cooked apple slices into an unbaked pie crust, and then top the pie with a lattice top or a plain pie dough. Brush the top of the pie with egg white, and sprinkle sugar on top. Then, bake for 40 minutes until golden brown. 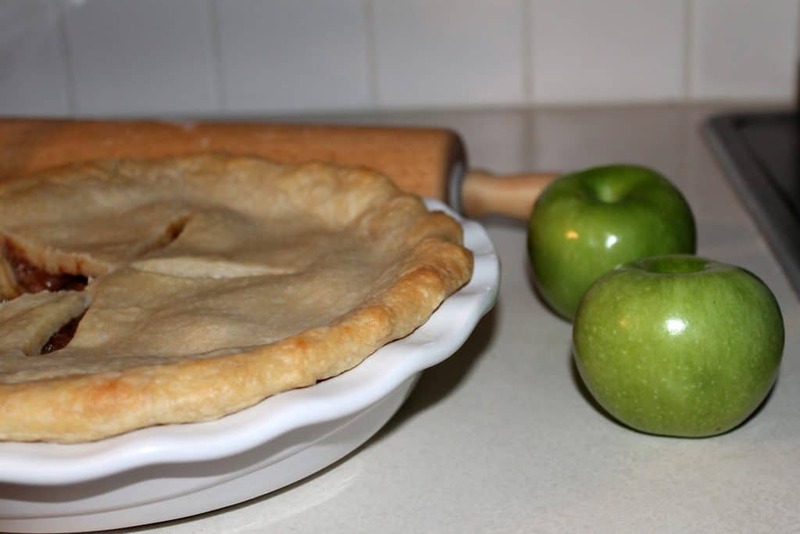 *For this apple pie recipe, if you use a sweeter apple (gala, red delicious, etc.) only use 3/4 cup brown sugar.